The BestDNA program was an eye opener. It provided powerful insight into the drivers of behavior, the levers to change that behavior, and delivered numerous effective leadership tools. Bob’s energy and enthusiasm are contagious and the tools he provides through the BestDNA program are incredibly powerful. My Best DNA statement serves as a go-to reference and a reminder of my core identity, strengths and values. I have to admit that initially I thought it was a painful process, and was not going to be valuable in the end. Now that I have Best DNA statement though, whenever I read it, I find that it helps me recall all the thought processes that went into creating it, and of why I distilled the statement. I participated in Bob’s BestDNA assessment about four years ago. I was both surprised and excited by the results. The knowledge I gained forced me to challenge my current perspective of work and personal life. The changes I have made since then have resulted in improved purpose and enjoyment in both areas of my life. I highly recommend the BestDNA assessment. You may be surprised by what you discover. This was truthfully one of my favorite self-discovery and affirming exercises we did at the Red Cross LEAD program. My motto “Together We: Create. Collaborate. Initiate.” is the essence of me and what I bring to the team. The Best DNA assessment is an excellent way to gain clarity in not only who you are but what really make you tick. And with this information, you will feel more confident and can make better decisions. Thank you, Bob! During Leadership University training sessions, I really enjoyed the work we did on our Best DNA assessment. It helped me to think about my core purpose, core principles, core strengths, and the value that I can bring to the table, both in my professional and personal life. I think about My Best DNA Motto often, and try to model it always. The Best DNA Assessment was invaluable in helping me to refine what has made the biggest impact in my professional career and influence the direction I hope to continue going forward. The Best DNA Assessment was instrumental in enabling me to reflect on my career and pinpoint what would empower me both professionally and personally to align my strengths with the needs of my life work. The Best DNA was well worth my time and energy and one of the most enriching assessments I have participated in professionally.  When I first heard the term Best DNA, I automatically thought about genealogy, but it turned out to be much more powerful. Instead of learning about where I was from, I learned who I should be! The process helped me strip away many of the notions I had created based on external influences and focus on what was important to me at a core level. I was able to identify my Best DNA, which wasn’t a radical departure from how I saw myself, but allowed me to refocus on what was truly important to me. This has guided me through several reviews with my manager and set my on a clearer career path. I have started taking on tasks and projects that compliment my Best DNA, which has resulted in less stress both at work and home. I used Bob’s Best DNA Assessment during a Leadership development training course. Using this tool has helped me to clearly focus on my strengths and identify what I’m passionate about again. Bob is one of the best motivational speakers around!